I’ve settled into a Tuesday and Friday Tai Chi class routine. Granted it’s only been one week. But it feels good. I’m renewing friendships and meeting new people. I met the lady who won my Native American Culture themed quilt at the raffle. (See my post, Done!) She was ecstatic and stopped the class to verify I was the quilter. “I love it!” she said. Talk about a shot in the arm, gave me renewed vigor to finish the class. I’d wondered if my legs would hold up. It’s all a matter of shifting your weight from one leg to the other as you dance your way through the 108 moves. All this weight-bearing helps build bone, something mighty useful to me now. But I needn’t have worried, my legs remembered. They held up admirably, while the rest of me had a harder time remembering some of the hand moves. Though they started the same week, these classes are independent of each other. That means that on Friday I get to repeat what I learned on Tuesday. This works well as I am a perpetual beginner, having yet to complete all 108 moves. Monday and Wednesday classes start in two weeks and I plan to take those too. There’s nothing like reinforcement. And camaraderie. And I have another reason for taking all these 10:00 AM classes. They will help me to structure my day so I can fit the most into it. Freelance editing is occupying more and more of my time, and that’s a good thing. But working from home, I’ve let myself maintain a non-schedule schedule, working all hours of the day or night. There’s been no clock to punch, and no boss but my lenient self. As long as the deadline is met, your client doesn’t care when you work. But now, I need to adopt a daily discipline so that I can accomplish all I want to do. Such as my own writing (my WIPs won’t write themselves, sigh), and then there’s my quilting. I do want to keep up with it, and I plan to make a bunch of children’s quilts for the homeless shelter our Tai Chi Branch supports. For Christmas. So you see, Tai Chi to the rescue. In so many ways. This entry was posted in Blogging, Crafts, Creativity, Exercise, Friendship, Health, Life, Quilting, Sewing, Tai Chi, Writing and tagged Arts, Blogging, Craft, creativity, exercise, Fiber art, Friendship, Health, Quilt, Sewing, Tai Chi, writing on August 3, 2013 by Irma. It’s been kind of a bad year, health-wise, but life goes on and tomorrow I go back to Tai Chi class. I didn’t realize how much I’d missed that social interaction until I saw the familiar friendly faces when I stopped at the Center to drop off the quilt I’d made. 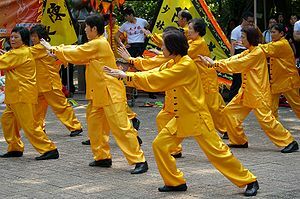 And how much my body missed the physical poetry that is Tai Chi. Below is my blog post from August, 2011, called In The Zone. My goal is to recapture the fluidity I had then. Standing tall, I take a deep breath as I raise my arms straight out to shoulder height. My open fingers mimicking a falling rain, I lower my hands to waist level. They float toward each other, palms down. My right hand then slices the air like the flat of a blade leading me to pivot on my right heel in that direction. The left foot adjusts its angle and I “drop” into position, bending at the hip and flexing my right knee. Poised in a protective stance, I sense strong energy pushing back on my extended right hand, pressing against my outward facing palm. I am holding it back away from me, keeping it at bay. My left hand, palm down, hangs low in front of me, guarding my center, shielding my core. I hold this position for a moment, letting the opposing force know I am ready and prepared for it. I am invulnerable. Standing tall again, my right arm gravitates down while my left arm rises towards it; they cross at the forearm, as though suspending something in front of me, something round. I visualize a delicate sphere, it is my world; I am hugging my world. I am the unbroken shell surrounding it. No harm will come to it as long as I cradle it, making it invincible. My weight resting on my right leg, I lift the left foot and step out on the diagonal, advancing against the unseen force. The motion is fluid, my left hand leads; my body follows, turning to confront that which comes at me from yet another direction. I allow my body to flow with the motion. I concentrate and think of nothing but continuing with the synchronized moves. I am part of a formation, a phalanx, performing a silent ballet. I am in the zone, the Tai Chi zone. The dance progresses; the right hand moves up by the left shoulder and forms a fist. The left hand retracts against the body gathering energy then pushes back as the fist lashes out. The fist continues its momentum coming to rest by the right hip; the body follows its arc, swinging to the right, back foot pivoting on the toe. I am now crouched and ready to strike. I push that invisible force back once more and step forward with purpose, delivering my right-handed thrust. I do not fight any one person in these pseudo matches, though I do face an enemy. Locked in a pitched battle against my personified disease, I withstand and do not cower. It is a contest I engage in daily, this struggle to gain and maintain my equilibrium, to meet the challenge of life’s burdens and its inequities. When I practice Tai Chi, I achieve a level of serenity and all around peace no other form of exercise can give me. My worries succumb; my stressors evaporate. The poetry of the motion is beautiful and graceful, the camaraderie of performing it with others comforting and soothing. Performing it in solitude becomes meditation in motion. I withdraw to my innermost self and find medicine for my soul. In case anyone wants to join us! We are the largest Branch in the country and the most diverse. For our 20th anniversary, I printed out flags for all the different countries represented in our Chapter. I then had to figure out how to place them on the cake. The answer came to me at the party store. Swizzle sticks! This entry was posted in Blogging, Exercise, Friendship, Health, Life, Meditation, Tai Chi and tagged community, exercise, Friendship, Health, Life, meditation, Tai Chi on July 29, 2013 by Irma. I keep forgetting I am ill. I forget it for days at a time. I run around at a speed reminiscent of my 30’s. I feel twenty years younger, which is a nice change of pace. I used to feel ancient, ready for death. Not anymore. My illness brings me up short. Literally. It stops me cold and won’t let me forget for long. It is selfish and narcissistic. It likes to be front and center; it doesn’t appreciate being shoved aside. It derives its satisfaction from reminding me of my limitations. I give in to it. I have no choice. It is not from defeat, but rather from strategy. I know how to beat it. It does not know how to beat me, for after a few days of rest, I arise from my bed ready to face life head on once more. Rheumatoid Arthritis is a fickle disease. You never know from day to day how you will feel, how it will affect you. You don’t look sick. There are no outward signs of your illness, unless your joints are permanently twisted by it. The most obvious being your hands. It likes to attack your hands. Time was when my hands were so stiff and swollen; I could not bend my fingers to grip the steering wheel of my car. Driving my daughter to school was agony. I would shake my hands at each stop light, as if that would shake off the pain. Or at the very least loosen them up, but it didn’t work. I drove with my palms. I know everybody does; I was merely reaching out for help. It wasn’t forthcoming. He almost let me die. He left me untreated long enough for fluid to collect around my heart and lungs, compressing them. I should bill him for my hospital stay. That’s another thing about RA. It assaults your whole body. The “arthritis” in its name is misleading. It doesn’t differentiate between joints and organs. Any site will do for its malevolence. You are supposed to be wary, not invite it in. You walk a high wire, making sure you don’t overdo in order to maintain your balance, your equilibrium. And when there is no choice, when you know you will be stressed, you need to block some time off to rest and recoup. And that is not just hearsay! I am reminded of that time and again. The resulting lethargy is a weight that inundates you, making it hard to think, hard to move, hard to breathe. You are surrounded by a fog of pain. Putting a simple meal together tests your limits. The FATIGUE is so pervasive and overwhelming you think of it in capital letters. 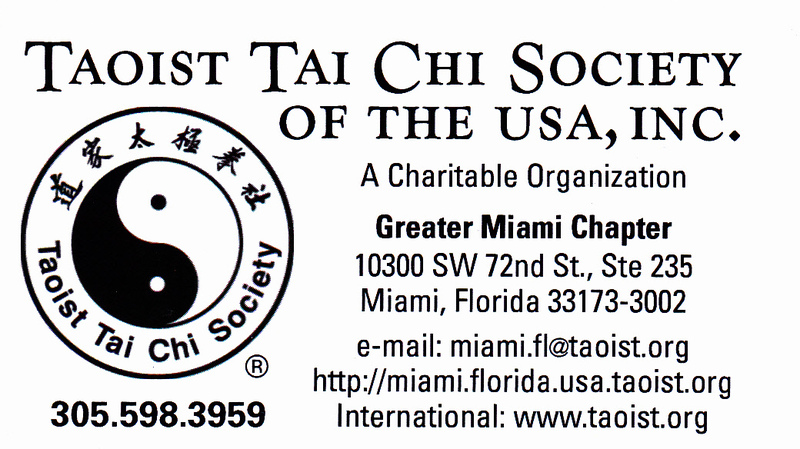 Tai Chi helps me combat my illness. My present rheumatologist wants me to practice it every day. In an ironic twist, it is Tai Chi that made my illness lunge forward and knock me down this time. For I became so involved with our Branch and the preparations for our 20th anniversary celebration this past Saturday, that I wore myself down to a confrontation with RA. RA can stop me forever, but while I still live it can’t stop me completely. 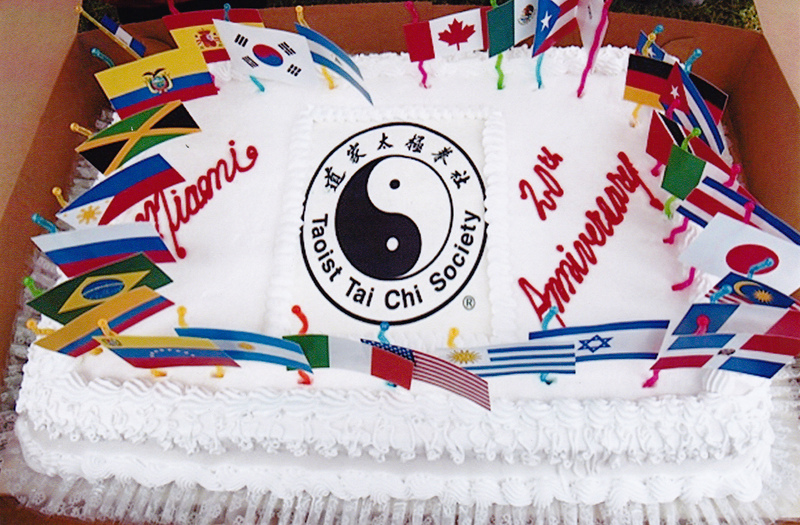 It can’t stop me from writing or composing my article for our Tai Chi newsletter. Tapping on the keyboard is a great exercise for my hands. It keeps my fingers strong and supple. I have my grip back and I mean to keep it. I need it to seize RA by the neck. And never let go. This entry was posted in Coping, Creativity, Humor and tagged Fatigue (medical), Health, Rheumatoid Arthritis, Rheumatology, Tai Chi on October 31, 2011 by Irma. This entry was posted in Meditation, Relaxation and tagged Holistic health, Martial arts, Peace, Physical exercise, Serenity, Solitude, Tai Chi on August 7, 2011 by Irma.